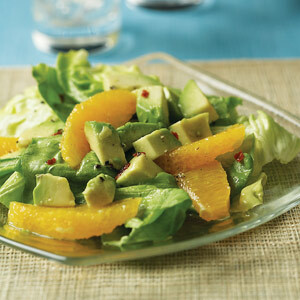 Divide lettuce, orange segments, and avocado among 2 plates. Whisk together vinegar, oil, salt, pepper, and pepper flakes in a small bowl, then drizzle over salads. Serve with Creamy Crab Bisque.